To prepare the stocks of bacteriophage by plate lysis and elution method. Bacteriophages the viruses that infect bacteria were discovered independently by Frederick W.Twort and Felix d’Herelle in 1915 and 1917 respectively. The word bacteriophage is first coined by D’Herelle which means ‘bacteria eater’. Phages are commonly composed of a nucleic acid core and protein coat which covers the nucleic acid inside it. Bacteriophages exist in two forms: Lytic and lysogenic. 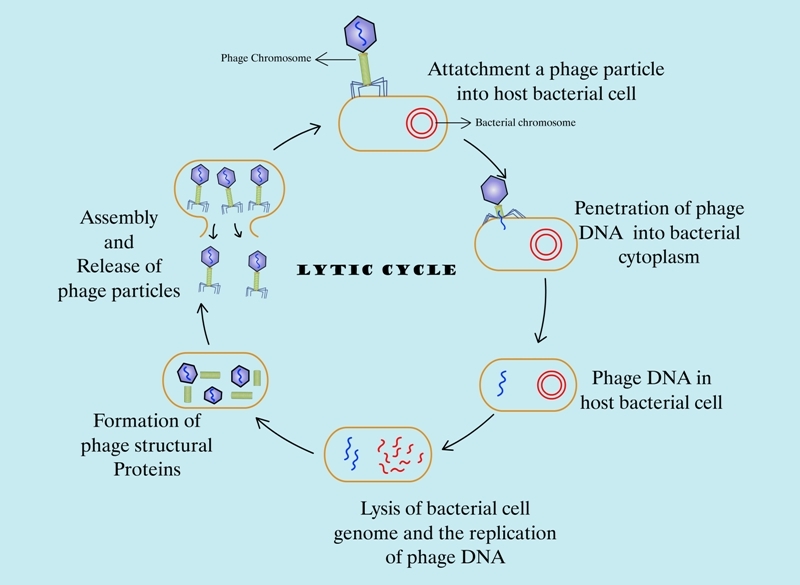 Phages, in lytic cycle, can multiply within the host cell and eventually cause its death by lysis. While in lysogenic cycle, phage can stay within the host cell without any harm by integrating its DNA to the host genome.